Have you ever dreamt of owning a luxurious home in Mumbai? If yes, then Piramal Realty’s Piramal Mahalaxmi Mumbai project is here with the largest residential project in South Mumbai to fulfill your dream. Residing in your own flat in Mumbai is the dream of every citizen lives in Mumbai. Piramal Realty group one of the best real estate arms of Piramal group identifies wish of people and launches residential projects with extraordinary features. 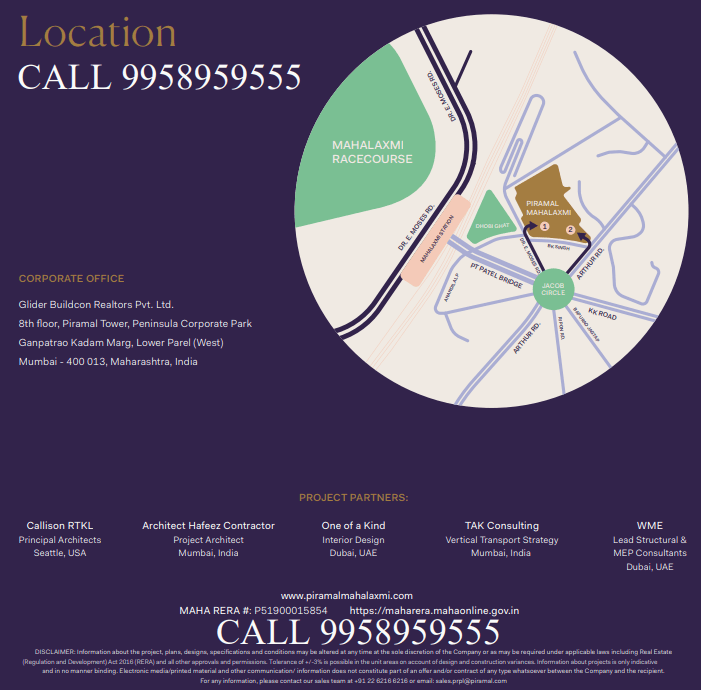 First, before letting you know the details of the Piramal Mahalaxmi I’ll share you some information about Piramal Realty group. Piramal group is the well-known conglomerate with several businesses all over the globe. It has the business interest in finance, real estate, pharmacy, and information management. The brands Piramal is eminent in over 100 markets and have won trust among the wide range of people. Piramal Realty has made a strong base and one of the familiar real estate conglomerates since 2012. The main goal of Piramal Realty is to enrich lives by setting gold standards for quality, customer centricity, and innovative architecture. To reach and fulfill the wish of the customer Piramal Realty has owned several experts to bring out innovative and luxurious residence projects in several sectors. Piramal group has launched several innovative and luxurious residential projects like Piramal Aranya, Piramal Vaikunth, Piramal Revanta, and Piramal Agastya. The list of Piramal projects does not end here. They have launched a prestigious and most innovative residential project for the year 2018 on March 28, Piramal Mahalaxmi. It is the Piramal’s flagship project in south Mumbai. 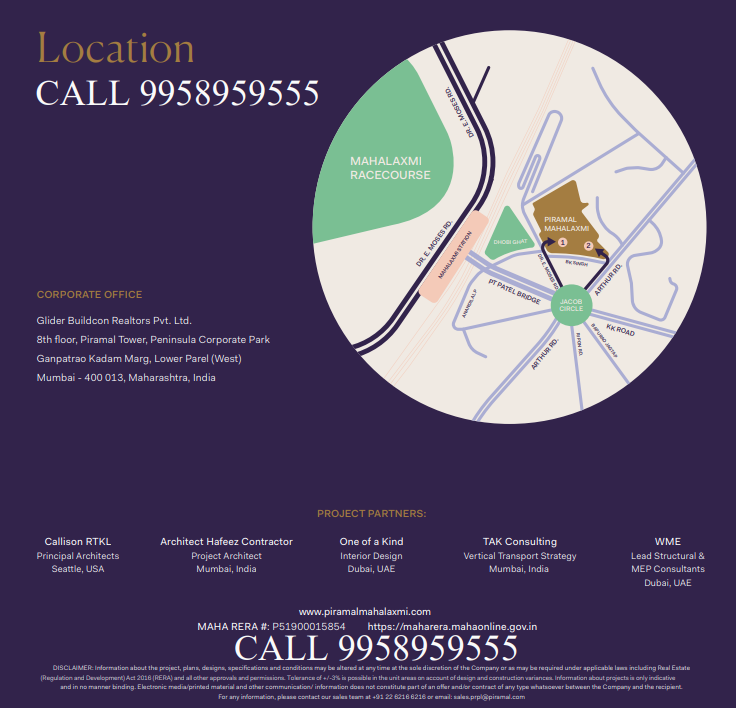 This project offers the residence with the great view of Mahalaxmi racecourse, mysterious Arabian Sea, Mumbai harbor, and the most famous Willingdon Golf Course of Mumbai. The name of Mahalaxmi is given as the locality of the residential project is Mahalaxmi which is most enviable address in south Mumbai. State of art well furnished amenities. Schools and hotels are available at around 2 to 3 km away. Business districts like Nariman Point, Ballard Estate, Bandra Kurla Complex, and Lower Parel Business District are present at the distance of maximum 15 km. You can choose your home as per your budget and wish as Piramal Mahalaxmi has 2 and 3 BHK. The carpet area for 2 BHK is around 755 sqft, and compact 3 BHK is 886 sqft approximately. 3 BHK large covers nearly 1200 sqft. Before grabbing your choice let me share about an interesting thing of this residential project. Sparkling view of Arabian Sea and 225 acres racecourse can be seen by residence choosing 3 BHK. And 2 beds facing the eastern harbor and skyline of the city will give you pleasant stay throughout your lifetime. Pre-booking for Piramal Mahalaxmi has started and register soon to own such a luxurious flat. Own a dream house on one of the 50+ floors soon. Expression of Interest (EOI) along with the bankable cheques is there for preferred inventory allocation and other benefits. One can use the EOI pre-booking until the formal launch of the project and the complete pricing has been revealed. One can register to have a house by providing the cheque and EOI as per the above-given instructions.